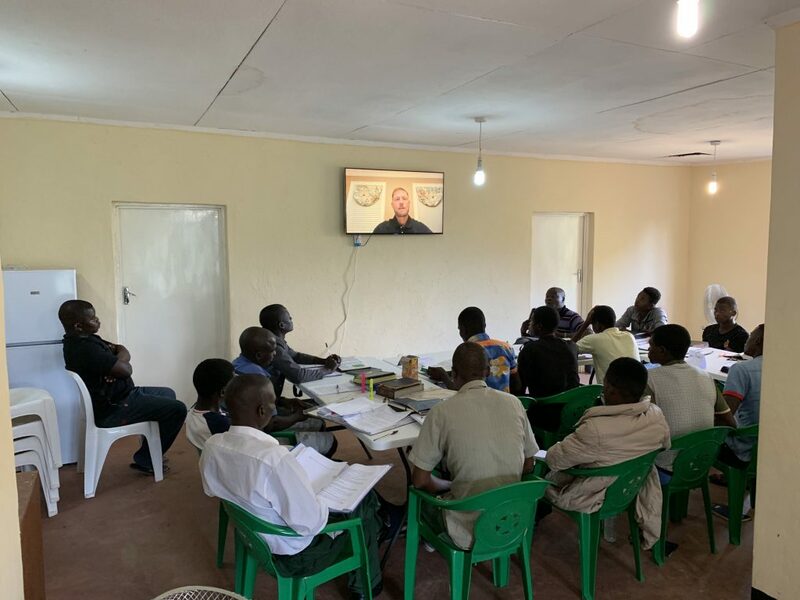 Today we resumed the classes here at the Tom Gentry Bible Training Center in Zomba, Malawi, Africa. 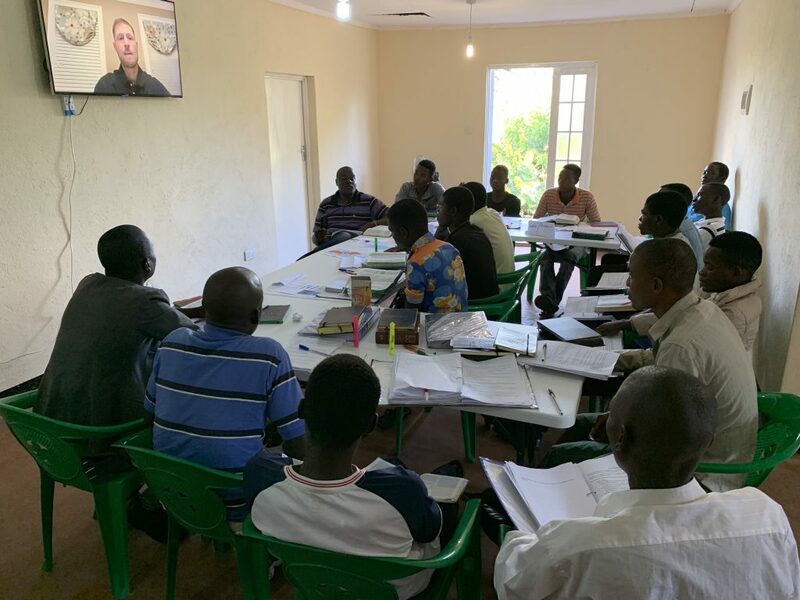 This time around, we don’t have foreign teachers here and I am not doing the teaching either, but we’re using recorded lessons done by some good teachers: Micheal, Danny and Nate. So far, the students seem to enjoy them and they should, the quality of the lessons are just as high. The lessons this week are: Common Grace, Election & Reprobation, Gospel Call and Effective Calling, Doctrine of Salvation – Regeneration, Conversion, Justification, Adoption, Sanctification, Filling of the Holy Spirit, Perseverance of the Saints, Death and the Intermediate State, Glorification, Union with Christ, The Church, Doctrine of the Church, Marks of a Healthy Church, Purity and Unity of the Church, Baptism, Lord’s Supper, Worship and Spiritual Gifts. 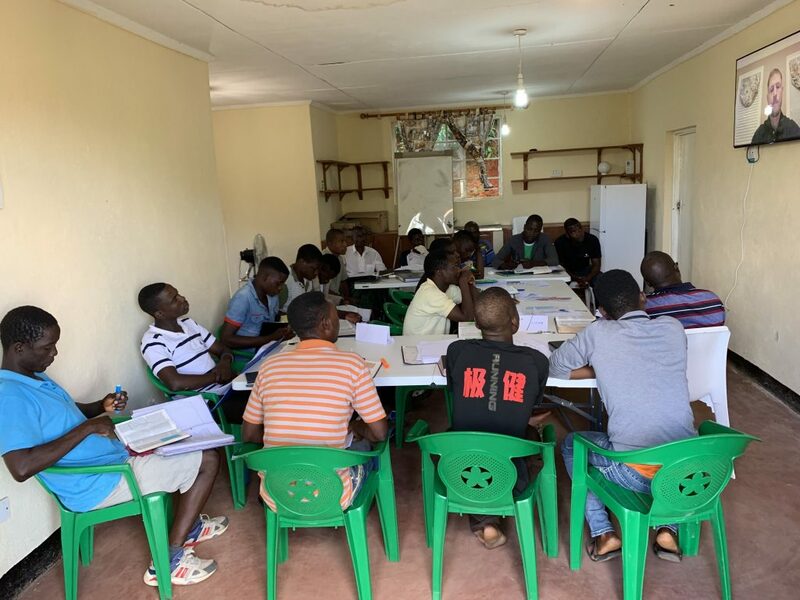 As you can see, there is a lot of good stuff for them this week, that is why we are asking you to pray for them; pray not only for learning and understanding, but also for true wisdom so they can apply everything they learn to their lives and ministry. Tagged Africa, Bible School, Bible Training Center, Hope for the Future, Hope for the Future Baptist Mission, lucrare, Malawi, ministry, misiune, mission, Școala Biblică, Tom Gentry Bible Training Center, Zomba.